What Is the Belief Gap? “Yes, they are,” my neighbor insisted. It’s time to offer the same gentle correction to Carol Burris, a former New York principal who of course knows better but just can’t seem to help herself from distorting facts when it suits her political purposes. In this case, it is to give Hillary Clinton a little smack during convention week for daring to embrace “public charter schools” that “get it right” and for making this challenge in a roomful of teacher union leaders. Rather than starting from ideology, let’s start from what’s best for our kids…We don’t have time for these education wars. Burris is opting to start from her charter-hating ideology. Once again she was given free reign in a guest column published Sunday by (surprise, surprise!) Valerie Strauss in The Washington Post. Her argument boils down to this: Public charters should not be called public because, well, Burris doesn’t believe in them. She doesn’t like the autonomy they have. She doesn’t like their discipline policies. She doesn’t like the fact that millions of families are fleeing traditional neighborhood schools to attend them (and taking some of their per-pupil dollars with them). At least Burris is honest about one thing: What teachers unions really hate about charters is that their teachers (mostly) do not belong to the unions—and do not pay union dues. She tries to argue that charter antipathy runs much deeper than unionism for “those who deeply believe in the mission of public schools.” But as a fellow public school missionary, I don’t buy it. She suggests that most charters are run by large for-profit corporations, when in fact just the opposite is true—two-thirds of all charters are independently run non-profits operating a single school (the so-called “mom and pop charter schools” that don’t fit neatly into the mass privatization rhetoric), and only 13 percent are run by for-profit companies (although they tend to draw a disproportionate share of the negative stories and criticism about the sector, and rightly so). But it is the “creaming” critique that unmasks the true hypocrisy in this anti-charter movement. Because if you are going to argue that schools are not public unless they “educate all,” then you cannot defend unionized magnet schools, gifted academies, and other “selective” schools that only educate students with stellar scores, grades and behavior records. One of the strengths of a true public school is its ethical and legal obligation to educate all. Public school systems enroll any student who comes into the district’s attendance zone from ages 5 to 21—no matter their handicapping condition, lack of prior education, first language, or even disciplinary or criminal record. Not only will empty seats be filled at any grade, if there is a sudden influx of students, classes must be opened. 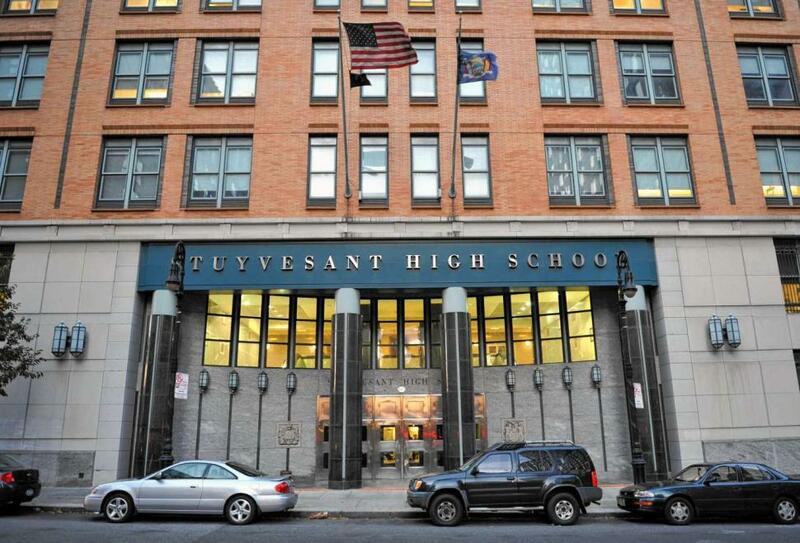 Under that definition, New York City’s uber-elite Stuyvesant High is not a “true public school” in any way, shape or form. At Stuyvesant High (which, by the way, employs another rabid charter/Teach For America critic, math teacher Gary Rubenstein) only 3 percent of students are African-American or Latino and fewer than 1 percent are students with disabilities—this is a system where nearly 70 percent of students are Black or brown, and 19 percent have disabilities. You can’t defend creating elite, middle-class enclaves with disproportionately low populations of Black, brown and special need students just because those schools are run by traditional district bureaucracies and staffed by union members. Charters might have complicated application processes that discourage certain families, but admission is still by chance through a lottery—whereas admission to some selective high schools is harder to secure than admission to the Ivies. As I mentioned to my neighbor, Ms. Burris is free to hate charters and by all means, she can go after the ones badly serving children and the public trust. But she loses credibility when she tries to deny the facts. Charter schools are public schools. And Hillary is not going to change her tune on that fact, no matter how many “public education friends” are watching. Comments are moderated to facilitate an open, honest and respectful conversation. While we never censor based on political or ideological viewpoints, we do not publish comments that are off-topic, offensive, or include personal attacks. If your comment seems to disappear shortly after posting, please know that it can take up to 24 hours for new comments to be approved. If you still do not see your comment appear, please feel free to contact us at [email protected]. Can’t We Just Agree That Great Schools Are Great for Students?